There is a boat load of fun stuff to do outside at the lodge. If you love nature and the outdoors, you will love your experience here. We find that our guests love to hike through the native prairie grasses and wild flowers which line the pasture hills around the lodge. The ‘prairie pothole’ region is a bird watcher’s paradise, and with the Tewaukon National Wildlife Refuge next door you will find abundant populations of fascinating local species to observe and enjoy. If you are into trap shooting, there is nothing quite like shooting clays pigeons from the ridge of the coteau. In the winter, grab a sled and try out the best sledding hill in Sargent County. 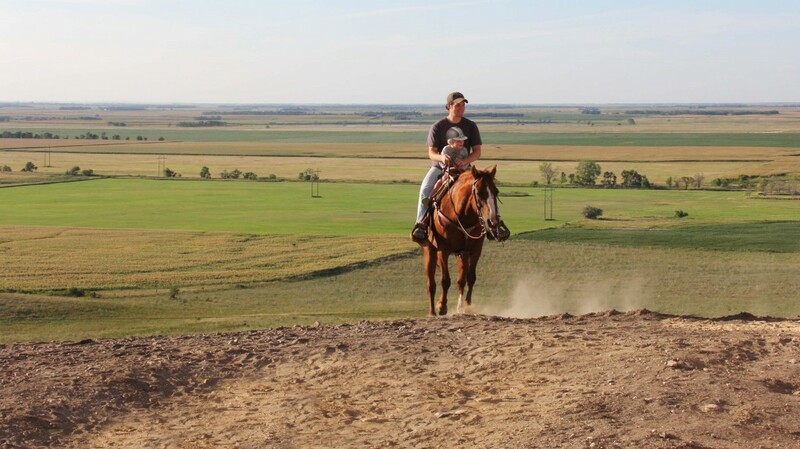 If you have horses, horseback riding is a great activity at the lodge. Hay rides and sleigh rides are available seasonally upon request. We will be adding outdoor activities over time as we get to know our customers. Check with the lodge manager to see what outdoor recreation opportunities are available during your getaway.